Weekend Kits Blog: Vintage Jewelry Making Kits - Get in the Groove! If you love vintage jewelry AND you love making things, then you won't want to miss the new Vintage Groove Jewelry Kits from Making Memories. As the name suggests, this is a modern take on a vintage classic. We've added three new necklace making kits from this unique & creative jewelry collection. You'll find them in the Jewelry Kits section of the store! The Cameo & Glass Charms Jewelry Making Kit is my personal favorite from the Vintage Groove line. I love the charms that are included in this kit! I especially like the Victorian style cameo and old world key - perfect for creating your own vintage inspired necklace. 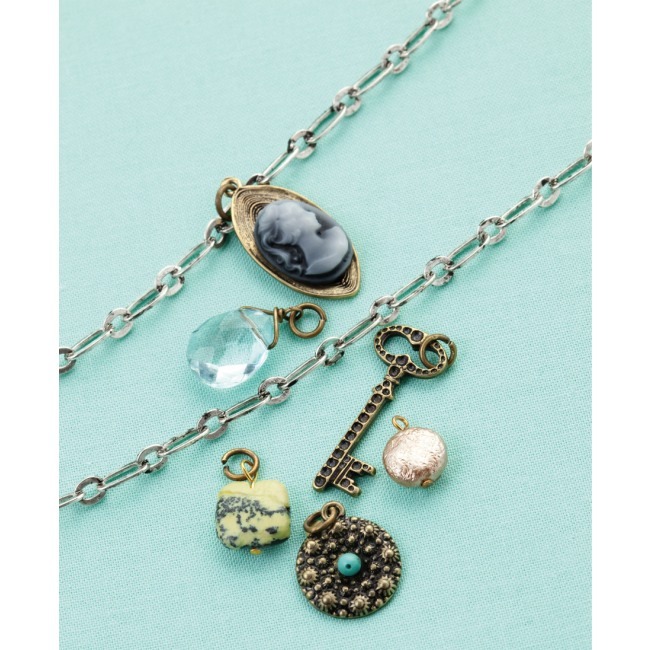 This vintage jewelry kit includes one 18" sterling plated chain with 3" extender and 6 assorted vintage charms made of metal, resin & stone. All the elements you need to complete your jewelry project are in the kit! The pieces in the Vintage Groove jewelry kits are hand selected by jewelry designer Jill Schwartz, so you know your finished jewelry pieces will have a professional appearance. 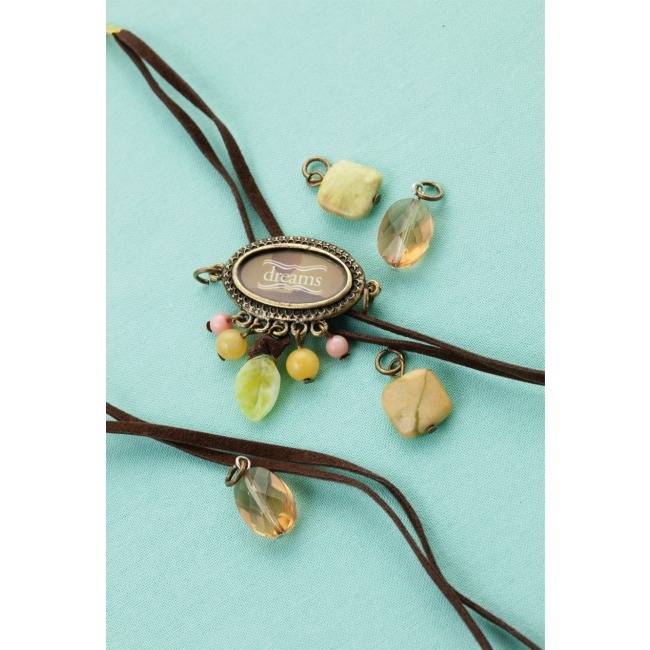 The Dreams Jewelry Making Kit includes one 14" leather strand with 3" extender and 5 assorted vintage charms made of metal, resin & stone. The Vintage Groove jewelry kits are all about combining vintage inspired elements into one-of-a-kind jewelry pieces. 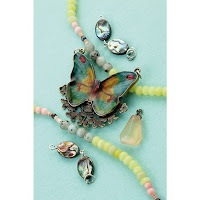 Each kit includes one jewelry design idea to spark your imagination. You can create the jewelry piece as shown or take the pieces and combine them to create your own unique design. There's no right or wrong way, just put them together so that it suits your own personal style! 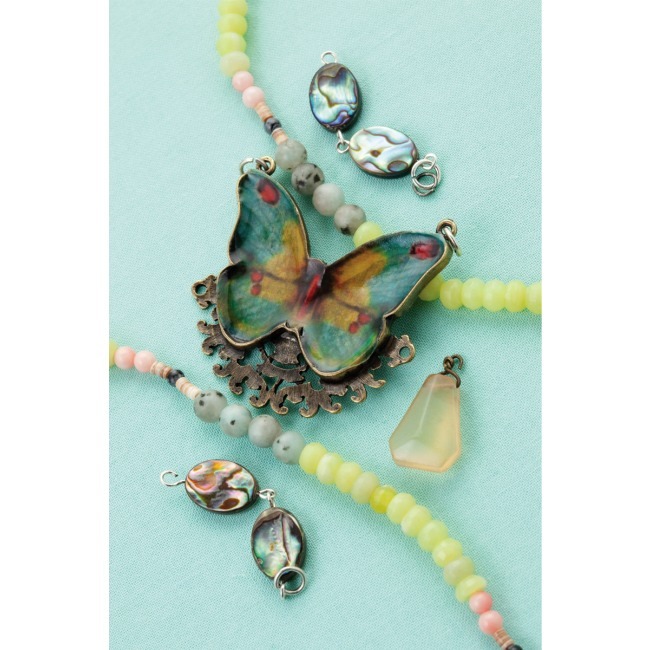 The Butterfly & Quartz Drop Jewelry Kit includes one 12" beaded strand with 3" extender, 2 each 1-1/2" shell strand connectors, 1 metal pendant & 1 quartz charm. All of the jewelry pieces are combined via jump rings. All you need are 2 sets of pliers to assist you in opening & closing jump rings. There is a right way and a wrong way to working with jump rings. You always want to use a twisting motion to open your jump rings (NOT a pulling motion). For helpful tips & techniques, watch the inspirational videos located on the Vintage Groove by Making Memories website to see this beautiful jewelry being made. This is a helpful resource for getting started with the Vintage Groove jewelry products. 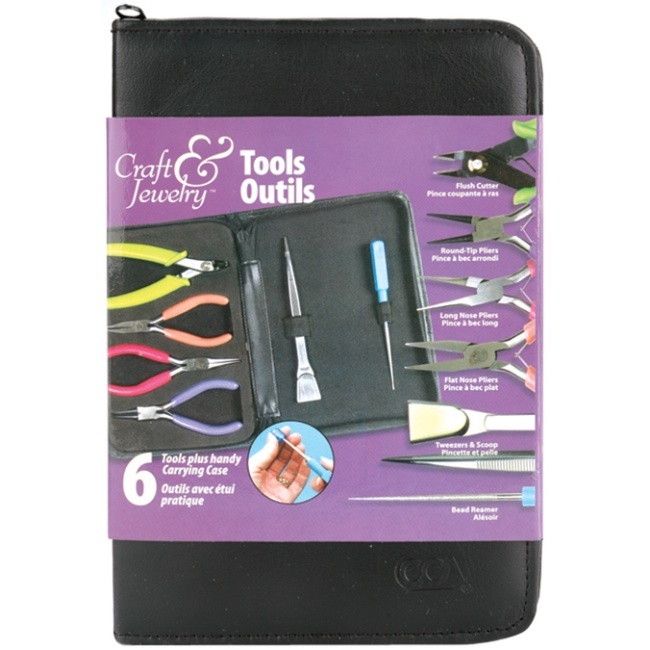 If you're new to jewelry making, this set of 6 basic Jewelry Making Tools from Cousin is an ideal tool starter kit for beginners. This tool set includes everything you need to get started making your own jewelry at home. And, all of the tools are neatly organized in a zippered carrying case. Visit the Jewelry Kits section to see our complete selection of jewelry making kits for beginners and experienced crafters. Kits make it easy to get started on your next jewelry craft project. At Weekend Kits, we're continually looking for exciting new products to offer you, so be sure to check back often. Stop by today and be ready to make Vintage Groove Jewelry on your next Weekend at Home!